Fever Ray, the solo project of The Knife's Karin Dreijer, will release new album Plunge this coming Friday, October 27. 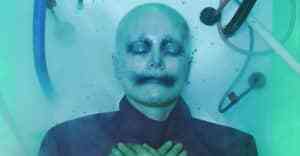 The album is the first from Fever Ray since 2008's self-titled debut and features the single "To The Moon and Back." A statement shared with press confirms that Plunge was largely recorded in Dreijer’s Stockholm studio in collaboration with the producers Paula Temple, Deena Abdelwahed, NÍDIA, Tami T, Peder Mannerfelt, and Johannes Berglund. Plunge will be released physically on vinyl and CD on 23 February 2018 via Rabid Records. Fever Ray is expected to tour live in 2018. 3. "A Part Of Us"
8. "To The Moon And Back"